The Free Reading Program is a free online literacy program. The program serves children and improves literacy through fundamental skills reinforcement activities. Students can begin learning at any level and progress when they feel confident. We want students to gain the confidence and skills they need to be successful and motivated readers. 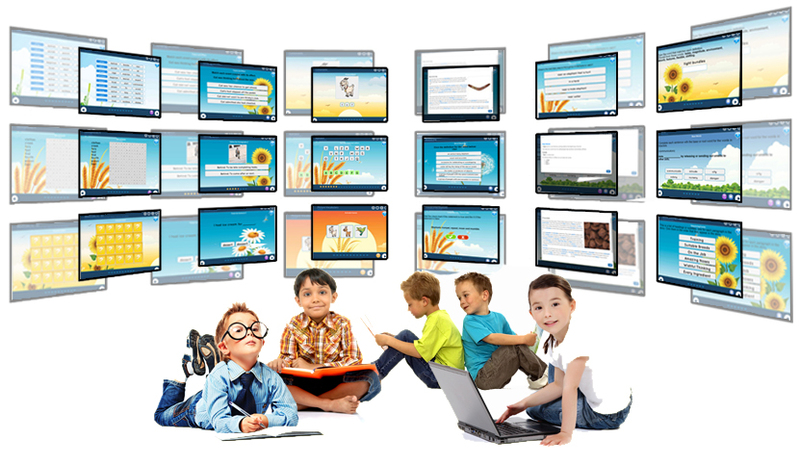 The Free Reading Program is a robust Kindergarten to Grade 6 online learning program. 266 learning units and over 3600 interactive learning activities are designed to engage young learners and instill confidence through a quiz and success based teaching approach. Our curriculum was originally designed by literacy experts for use in schools. The activities are based on leading educational research and the most thoroughly proven and effective teaching practices. The original content and software was developed by Essential Skills Software to run on personal computers. The program is incredibly effective and has been used in over 20,000 schools across North America. We have over 140,000+ students enrolled in our program, in over 185 countries. Rather than having us tell you how we have impacted users, we have shared their words in the testimonials section below. "I absolutely love this program. I have a child that is 2 years developmentally delayed. and has memory/language issues. This program has allowed her to practise various skills that she is struggling to learn in her school classroom. I am thrilled this program has allowed her to go back and relearn skills when needed. I have not found that type of support in any other learning program. Please keep up the great work in deloping programs like that that can help young children develop necessary learning skills. I would love to see this program expand to include higher grade levels as well." "The Free Reading Program is magnificent. My daughter loves it. It has really helped her gain her self-esteem back. She realized that she could do it... There was a time when she didn't feel this way... But just knowing that she can do this, and that every kid learns different... Evan when you have dyslexia... You can... Learn to read... Thank You... I found this program"
"I just wanted to express my appreciation for The Free Reading Program. I'm a homeschool mom in Louisiana, and it's been a valuable resource for us. Since we're on a tight budget, we very much appreciated having accesss to free educational materials. Thank you so much to everyone at the Rotary Club who makes this possible. I hope it brings as much releif to other families as it has mine." "Excellent program that keeps my children engaged, even my son with autism. Both kids benefited a lot from the program. Math would be a great addition for next summer." "Thank you so much for your support with this program. It has instilled a love for reading in my son and has motivated him to read on a daily basis." "This reading program is amazing. My child loves it and her reading is improving. She is having fun with it and I'm so thankful that it was free and it was something I could not afford on my own. Thank you so much for providing this program." "My daughter is 5 and is now reading at a second grade reading level!"